Released on: August 21, 2012. 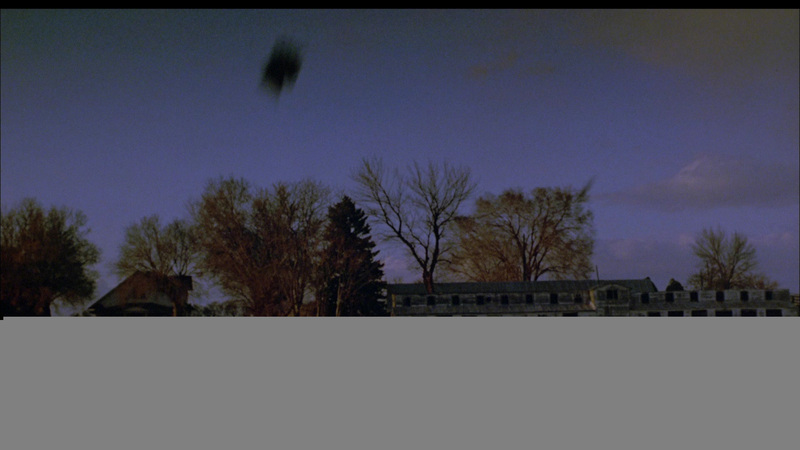 Directed by Dwight Little, Halloween 4: The Return Of Michael Myers begins when Michael is being transported from one hospital to another. Of course, he escapes en route and makes his way back to Haddonfield where he sets his sights on Laurie Strode's daughter, Jamie Lloyd (Danielle Harris) who lives with a foster family. Jamie's foster sister, Rachel Caruthers (Ellie Cornell), is annoyed that she can't go out with her boyfriend, Brody (Sasha Jenson), as her parents need her to watch young Jamie. No one suspects that Michel is going to make his return except for Dr. Loomis (Donald Pleasance), who kicks things into high gear once he learns of Michael's escape - but will he be able to convince the Haddonfield Police in time to save the local teenage population and young Jamie from certain death at the hands of a knife wielding maniac? As Halloween night fast approaches, we’re sure to find out. Set ten years after the explosive ending of Halloween II, this film is entertaining enough as far as slasher movies go but it does nothing new with the characters or the idea. 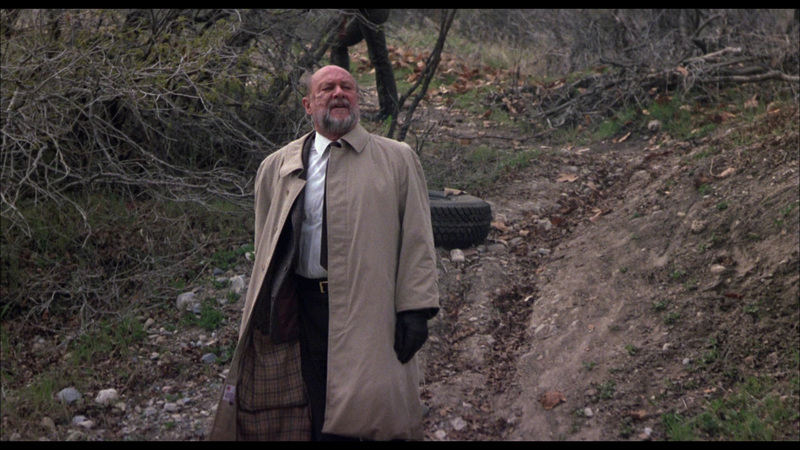 Michael is more or less back to his old tricks and Loomis is once again out to stop him. 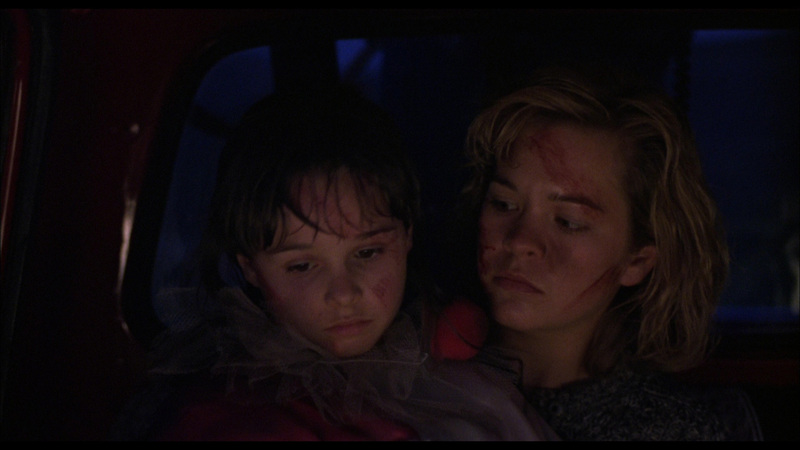 Curtis' character is nowhere to be seen (outside of a few archival photographs) and she's basically replaced with the sensitive Jamie, who is played quite well by young Danielle Harris. She's a pretty sympathetic character and Harris' performance is surprisingly believable here. In a genre where child actors can and do completely ruin movies, it’s refreshing to come across a performance like this that is both natural and believable. Pleasance overacts a fair bit throughout the picture, but you can’t help but love him in the role he’ll always be remembered for. At this point in the game, you get the impression that he’s less interested in the cooperation of the law enforcement officials or legalities of the situation than he is in doing whatever he has to in order to stop Michael – so maybe going a bit over the top is appropriate when you consider how manic and obsessive his character gets in the movie. 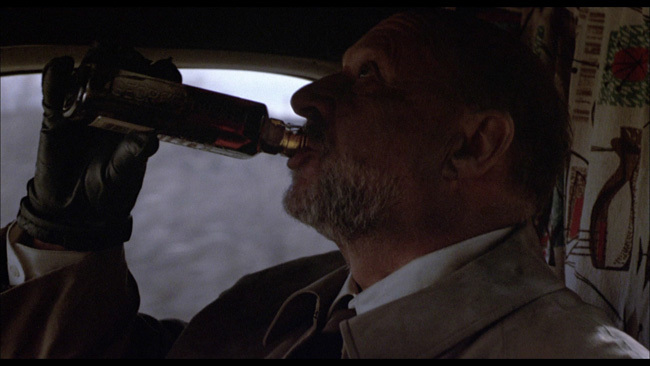 The ending of the film packs an appropriate punch and sets up the next film quite nicely but the film lacks the power of Carpenter's original film despite a few creative murder set pieces and some decent camera work. All in all, this film was not a bad shake at restarting the franchise. 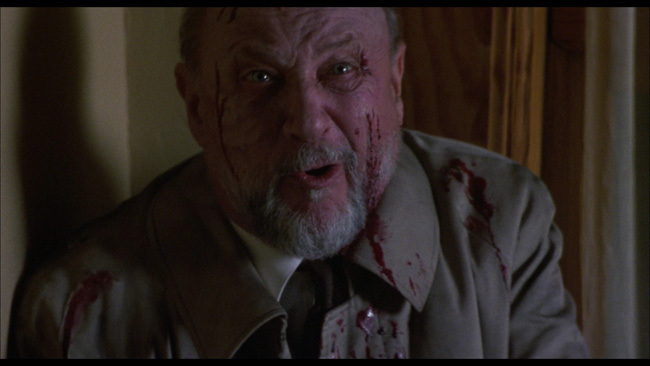 There are some decent, tense moments and a few good performances (look for cult favorite Michael Pataki early on as a doctor and S.F. 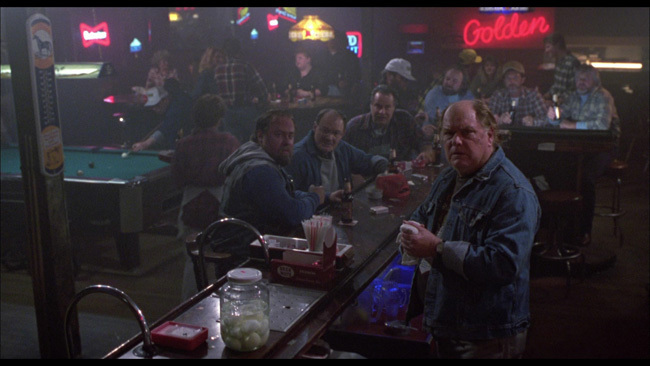 Brownrigg regular Gene Ross as Earl, a redneck bartender!) from the various supporting cast members. Kathleen Kinmont, who was at one time married to Lorenzo Lamas and who also pops up in Bride Of Re-Animator fills out her nightshirt nicely (“COPS DO IT BY THE BOOK”) and isn’t a bad choice for the ‘loose’ competition Rachel has in her relationship with Brady, while recognizable character Beau Starr is also good as her father, the town sheriff. The gore is solid and a bit more plentiful than in the earlier entries and the story fits in nicely with what came before. 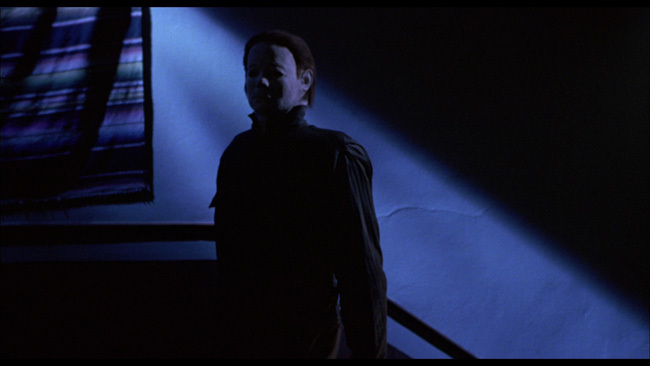 It isn't the classic that the first film is nor is it as good as Halloween II but based on its own merits or even as an extension of the Michael Myers mythology, it's a good effort. 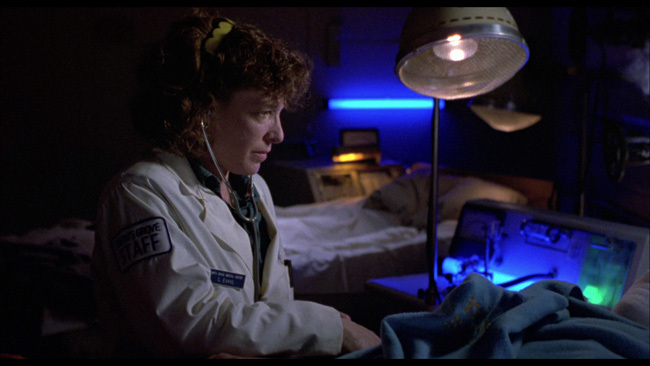 Halloween 4 is presented in its proper 1.85.1 widescreen aspect ratio in an AVC encoded 1080p high definition transfer that generally looks pretty good. You’ll notice some mild print damage here and there in the form of some white specks and you’ll also notice that some scenes look softer than others but by and large both texture and detail are noticeably improved. Does this movie look as good as the latest mega-budgeted blockbuster fresh out of Tinsel Town? No, but we do get a pretty solid picture through and through. Grain is prevalent throughout and there aren’t any issues with any obvious noise reduction. Some mild haloing can be spotted in a couple of shots but this isn’t ever a serious problem. Close up shots show the best detail, no surprise there really, but medium and long distance shots are also improved. 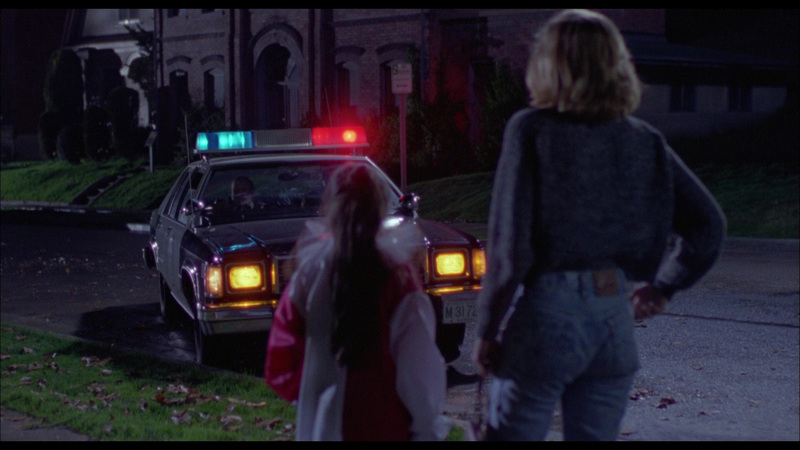 Take the ambulance scene early on for example – you can now see that there are decals on the ambulance to make it look like part of the Haddonfield hospital fleet. You can also plainly see that Pleasance’s make up is just that, make up. Skin tones look pretty good, nice and natural and black levels are decent. 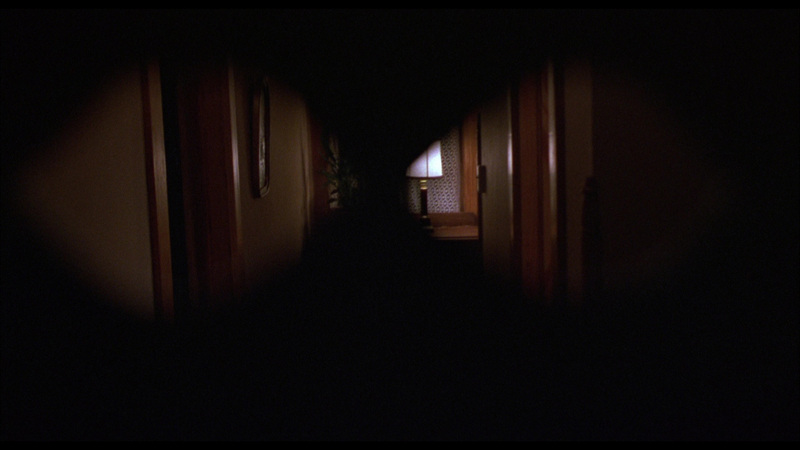 Shadow detail isn’t bad and color reproduction seems pretty decent here when you keep in mind that Halloween 4 is, stylistically, a very dark film made on a modest budget. This transfer won’t blow your mind, but it is certainly an upgrade from previous DVD releases. As far as the audio goes, Anchor Bay have supplied an English language Dolby TrueHD 5.1 Mix with optional subtitles provided in English SDH and in Spanish. Again, this isn’t the most amazing mix you’re ever going to here – the levels seem fairly low for one thing, but it’s certainly not bad. Dialogue is clean and clear and there are no issues with hiss or distortion. The mix is quite clear and while directional effects aren’t as strong as you might hope for in some scenes, bass response is okay; not earth shattering but okay. The music sounds good as do the sound effects and they are mixed in properly ensuring that the performers never get buried in the mix. 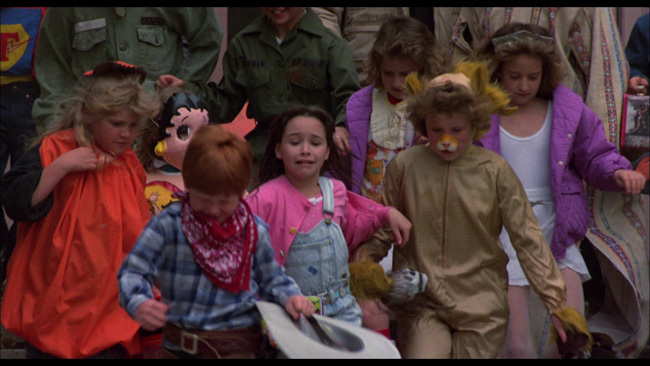 The extras for Halloween 4: The Return Of Michael Myers are a mix of old and new. 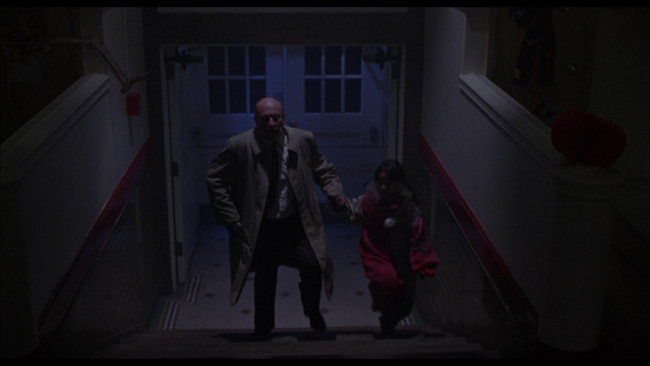 Carried over from past release is an audio commentary from Ellie Cornell and Danielle Harris. There are some interesting discussions and trivia notes in here detailing what it was like on set, other cast members, effects work and the like. The actresses obviously get along and seem to quite enjoy talking about their work together on this picture – both have some amusing and interesting stories to share. New to this release is a second commentary track in which director Dwight H. Little is joined by moderator Justin Beahm, author of the upcoming book Halloween: The Complete Authorized History and the man who contributes to the halloweenmovies.com website. This new track is a good one, as it lets Little talk about the history of the production, the schedule, issues that arose during the shooting and more. 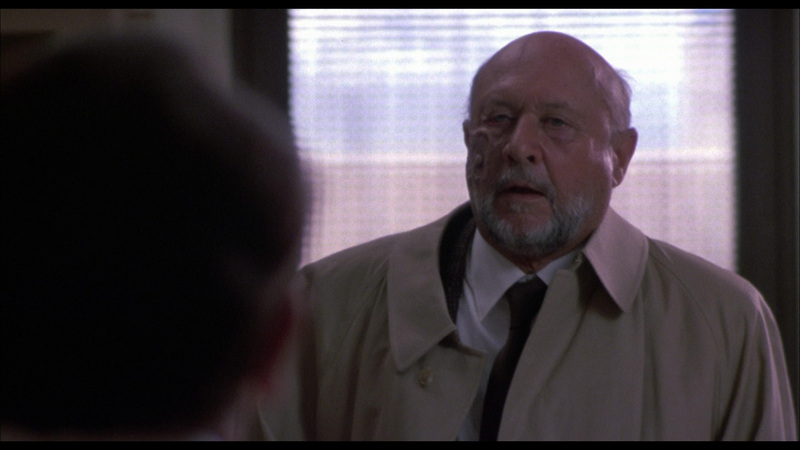 Beahm knows his stuff and manages to get some good information out of him, from the reason the opening scene and credits look the way they do to the evolution of Loomis' character and behavior in the film to why the lighting is the way it is in the movie. Also included is a featurette that documents a horror convention discussion where Danielle Harris, Kathleen Kinmont, Sasha Jenson and Jeffrey Landman talk about making this movie and the fifth film entitled Halloween 4/5 Discussion Panel (18:27). The fans ask some pretty obsessive questions and Harris answers them with some likeable enthusiasm while the rest don’t seem quite as into this. Animated menus, the film's theatrical trailer, and chapter selection are also included. Both the trailer and convention panel are in standard defintion. 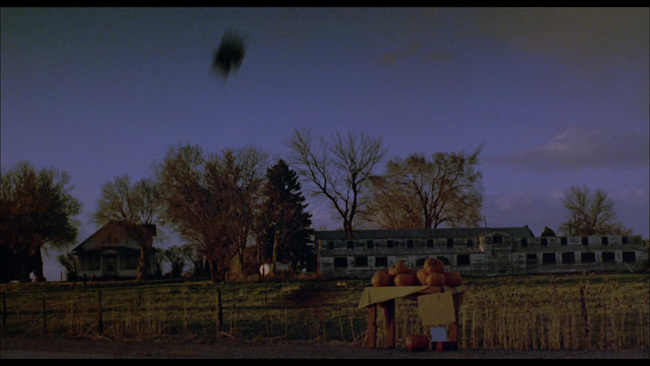 Missing but included on previous releases is an audio commentary puts screenwriter Alan B. McElroy and the seventeen minute long Halloween 4: Final Cut featurette which interviewed the late Moustapha Akkad. It’s also worth noting that the deleted scenes advertised in the original press release for this disc have not been included on the disc. It’s unfortunate that Anchor Bay didn’t carry over all of the extras from the DVD release and it’s unfortunate that the advertised deleted scenes didn’t make it on to the disc but the noticeable upgrade in the transfer and the new director commentary do go a long way towards making up for that. 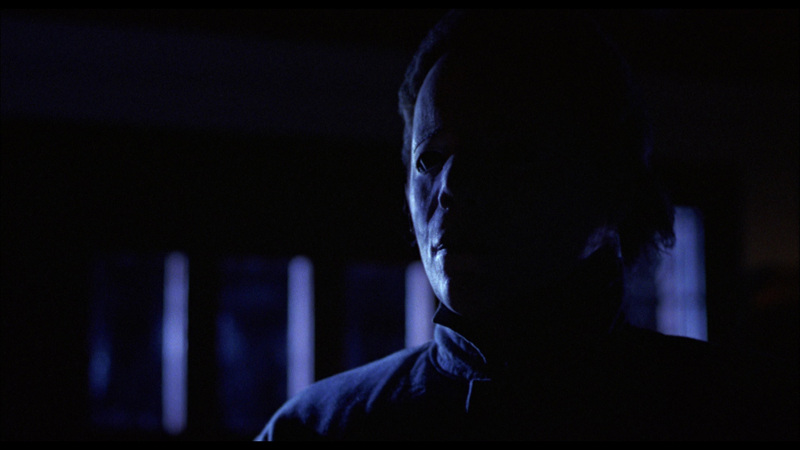 As to the movie itself, Halloween 4: The Return Of Michael Myers holds up pretty well. It’s a good slasher with some performances, some decent kills and a fair amount of legitimate suspense.